I am not an athlete but I have an Idol who inspires me a lot. She is Mikaela Maria Antonia Cojuangco-Jaworski a.k.a Mikee Cojuangco. She has been a competitive equestrian, winning in international competitions such as the bronze medal in Shizuoka,Japan at the age of 16. 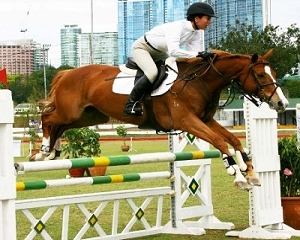 She also won the gold medal at the Asia Pacific Equestrian Championship in Australia in 1995, and another gold medal in the Asian Games held in Busan, South Korea in 2002. I love her guts being an athlete. We all know that mostly equestrian's are sports of men. But she did prove that even women can be as good as men being a well-known equestrian. 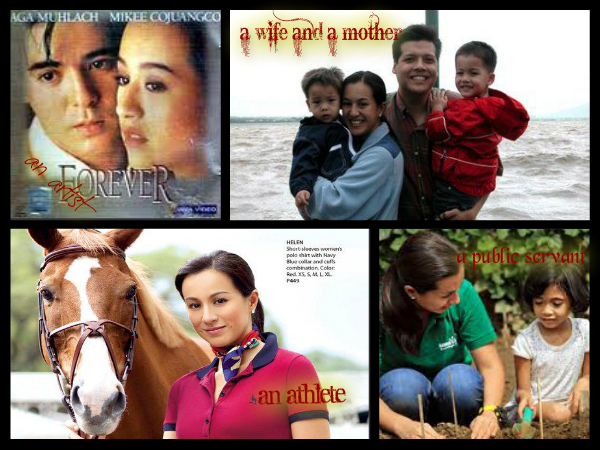 She's not just an athlete but also a loving wife and a mother of three, an artist and a public servant. She's living a busy, busy life but she is able to balance it. This Asian Games champion equestrienne still manages also to find time for her riding students at the Manila Polo Club. Can you imagine how busy her life is? Leading by example, in Mikee’s mind, is the best way to show her kids how to live full lives. I think she was able to exceed her own athletic limitations by proving not only to herself but also in the whole world that she can be a CHAMPION! Having an active lifestyle and at the same time not letting bad hygiene stop you have been practicing to some athletes but to ordinary people as well. Leading an active lifestyle can require a certain amount of discipline, which is why some people struggle with making these types of adjustments. However, there can be a great number of benefits that result from good habits. When people live an active lifestyle they put themselves in a position to enjoy a longer life. They may find that the world remains an intriguing place and that life is still enjoyable. Proper hygiene while maintaining a certain level of exercise and fitness is an old concept related to medicine, as well as to personal and professional care practices related to most aspects of living. It can help prevent body odor that in any sports, athletic or fitness activity should imply the importance of it. You are not alone if you experience body odor, and there is always something you can do about it. Try Safeguard Active! It can helps fight bacteria that can cause body odor. Switch now and you'll see! Remember, Safeguard Active won’t let bad hygiene distract you from exceeding your athletic limitations and in beating your personal best!